Fern Ridge Mounds are a dispersed group of small mounds situated in a small feeder tributary to the Missouri River. The mounds are on private property and is not open to the public. Testing at one mound (23SL1175) suggests that it was not manmade, but that it was camped upon. 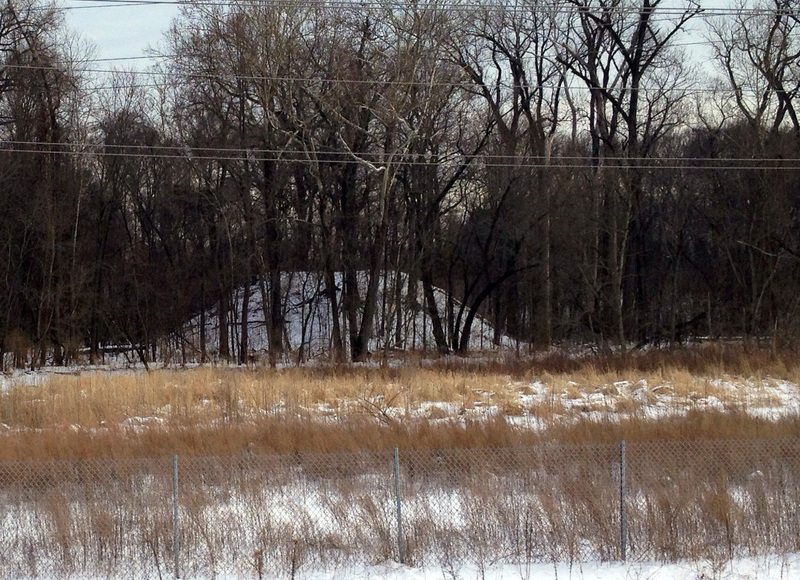 This photograph of one of the mounds in the snow was taken during January of 2014. 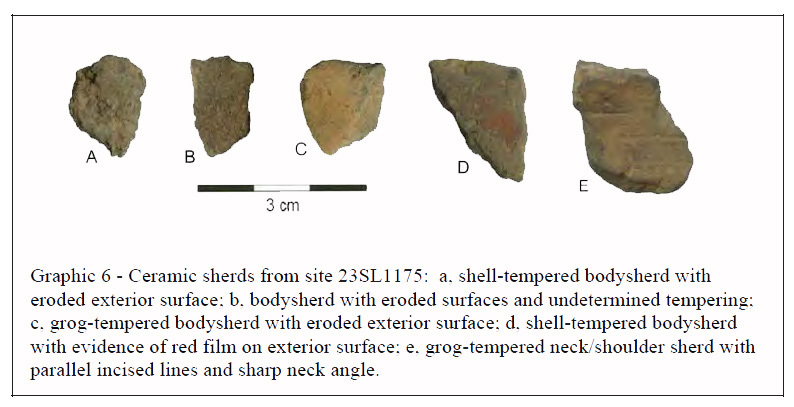 One mound, 23SL1175, was investigated by archaeologists from MoDOT (Missouri Department of Transportion); their report is on file with SHPO (State Historic Preservation office) in Jefferson City. 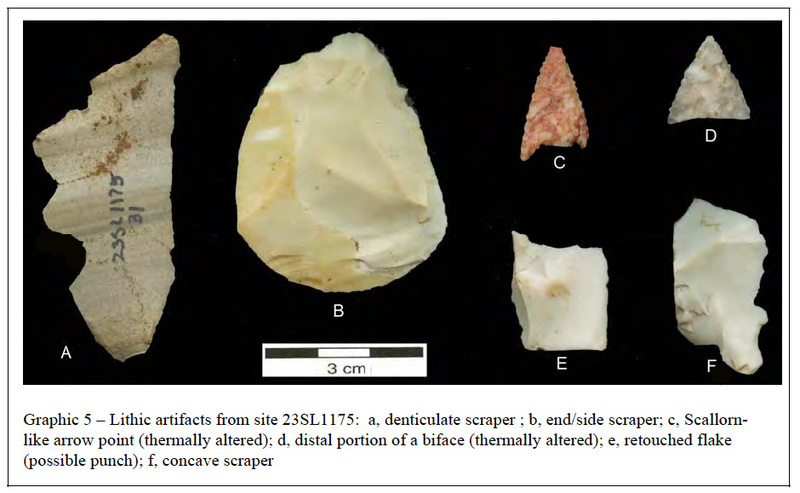 Scientific study of one mound recovered chert waste flakes, shell tempered pottery sherds, scrapers, a hematite fragment, two projectile point fragments, core fragments, hammerstone fragments and charcoal. Illustration from the MoDOT report on the site. The mound was studied by archaeologists from MoDOT using ground penetrating radar, test units, auger tests, and shovel testing. The site was registered with the Archaeological Survey of Missouri by Mark Leach. Illustration from the MoDOT report on the site. Many thanks to MoDOT for permission to use their images and data in the preparation of this webpage.